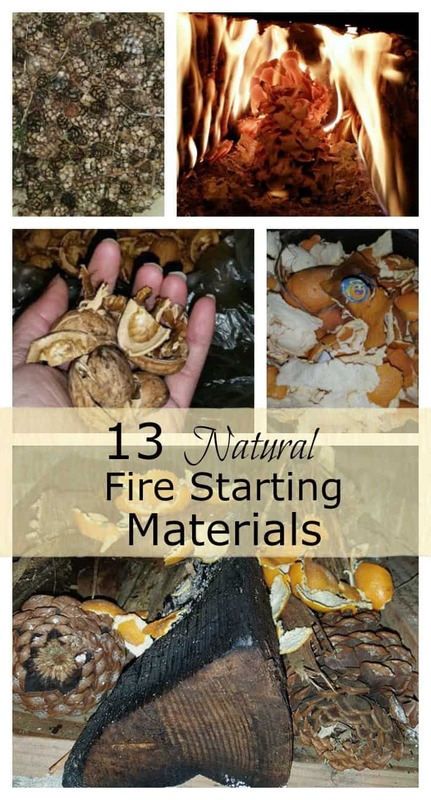 13 natural fire starting materials can easily found around the home. Normally, these items would typically be discarded or overlooked. No more. It is time to begin collecting these items now. Natural fire starting material will be the foundation on whether the fire will get started quickly, or not. Items like lint and empty toilet paper rolls are excellent options for starting fires. When the main source of heat for your home is a wood burning stove, you truly understand the importance of being able to start a fire quickly. 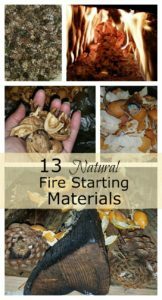 Here’s a list of natural fire starting materials which can easily be found around your home or on your property, items that you more than likely use, or ones can be found on a regular basis. It’s been 3 winters since we’ve utilized our Timberline cast iron wood stove, also lovingly known as The Beast, to heat our home. 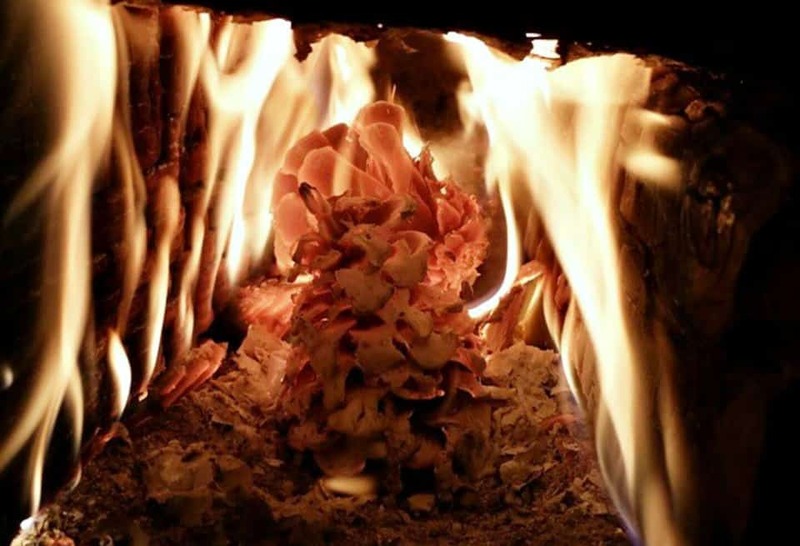 Though our wood is seasoned, we use tinder to help start all fires. Many natural fire starting materials can be used to ignite a fire. But this list is compiled of items found around the home or around the homestead. I’m not the best fire starter, and in truth it took about 2 winters before I finally got the hang of it. For some reason, when you’re cold it seem to take forever before a fire finally catches! As a homesteading family our goal is to create a zero waste product. This include they type of tinder selected for finding natural fire starting materials. 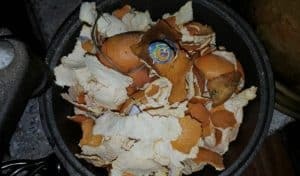 Citrus peels also work wonderfully. The oils found in the peels help to fuel the fire, making them an excellent option as natural fire starting material. Not to mention, the peels smell quite good as they burn. Citrus peels should be dried prior to using them. Dry the peels next to the wood burning stove or place into the oven and dry for 30 minutes at 200 degrees. Toilet paper rolls filled with dryer lint will catch on fire immediately. 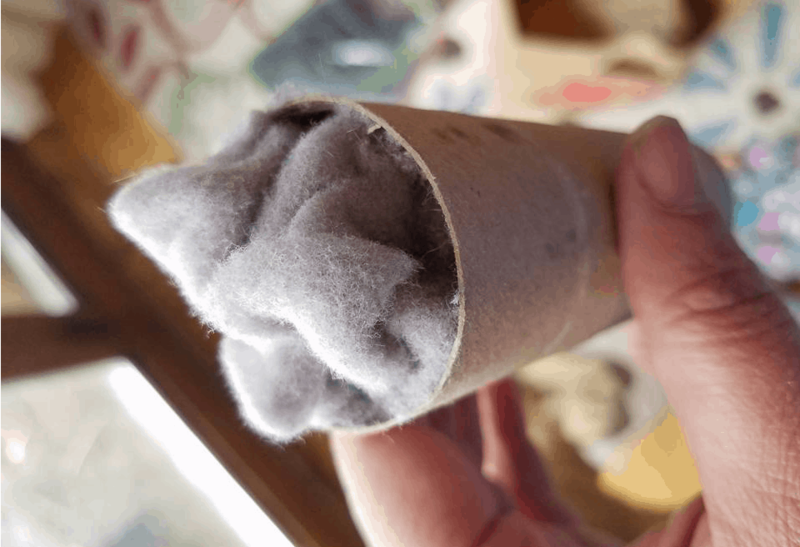 Toilet paper rolls are saved throughout the year, and filled as the lint trap from the dryer is emptied. Maybe these are not conventional natural fire starting materials, but they work. And work quite well. Nutshells are also excellent for starting fires. 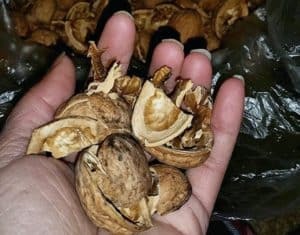 Okay, I’m sure many of you are chuckling at this, but this is excellent for those of you who have nut trees on the homestead. Yes, I know this isn’t for everyone, but I thought I’d throw it out there! There’s never a shortage of pinecones in our area, which the kids are responsible for collecting and setting out to dry. Drying pinecones is quite easy. Bake them for 30 minutes at 200 degrees dries them quickly. They can also be left to dry next to the wood stove. Pine needles also make an excellent tinder item and can easily be collected and dried by placing them next to the stove or fireplace. This next item may be difficult for a few of you to find. Though for those of us who reside in the western part of the Pacific Northwest they works perfectly as natural fire starting material. 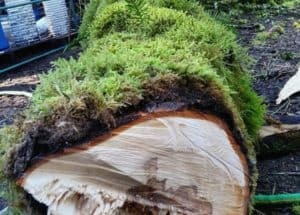 Moss can be harvested throughout the year in this part of the country. Begin with removing the moisture by pressing it with a towel. 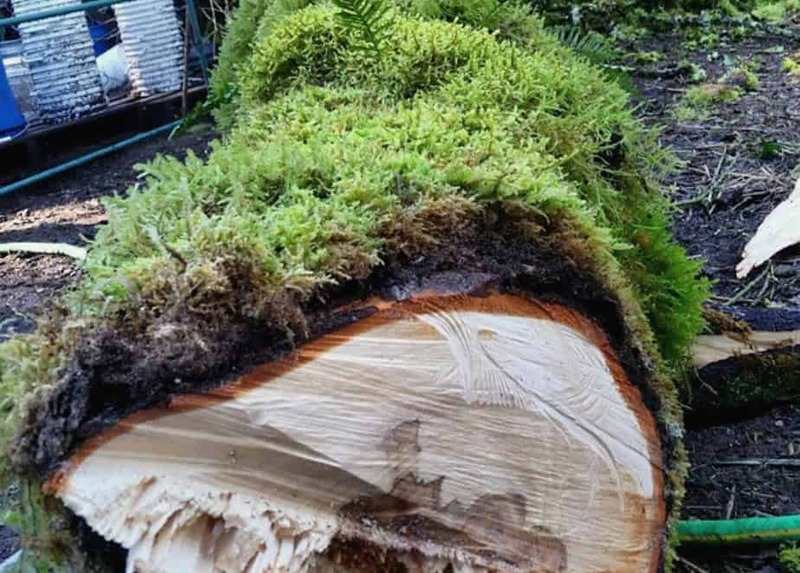 Next, lay the moss in the sun to dry for roughly 1 week. Wood kindling is made when we split our firewood each fall. Generally using Ceder or Cottonwood. Dried cattails also makes for an excellent tinder and we are lucky to be able to harvest quite a bit of it yearly. We do burn cardboard as tinder, though not on a regular basis. The cardboard needs to be clean of tape and should not have a glossy sheen to it. Many individuals will not burn cardboard for fear of chimney fires ~ a chimney with to much creosote can catch on fire easily by the flakes of the cardboard entering the chimney and igniting the creosote. Supermarkets in our area provide brown paper bags if a reusable bag is forgotten. More times than not brown bags can be reused. However, using them an tinder is also ideal. Other not so natural fire starting materials include paper brought home from school or junk mail, nothing goes to waste around here. However, we do not burn any paper product with a glossy finish or envelopes with a plastic windows. Why create chemical toxins when you don’t need to? Hopefully, these tips for natural fire starting material will help to start the fire quickly. Stay warm, friends. These tips will help you get there faster! Also, a few more tips for ya on how to keep warm without increasing your electric bill during the winter months. My brother-in-law says he uses Dorito chips to start a campfire when the boy scouts go on their overnight. The oil in the chips burns hot & quickly. Oh my word! If I had Doritos I’d devour them! This is an awesome list! This would be great when we vacation at a cabin (which used to be annually until part of Gatlinburg caught fire :/ now it’s too expensive). We can also use for starting our fires in our firepit. Can’t wait to start creating our kindling stash! !